They say opposites attract — and with Ryker and Bailey, it couldn’t be more true. 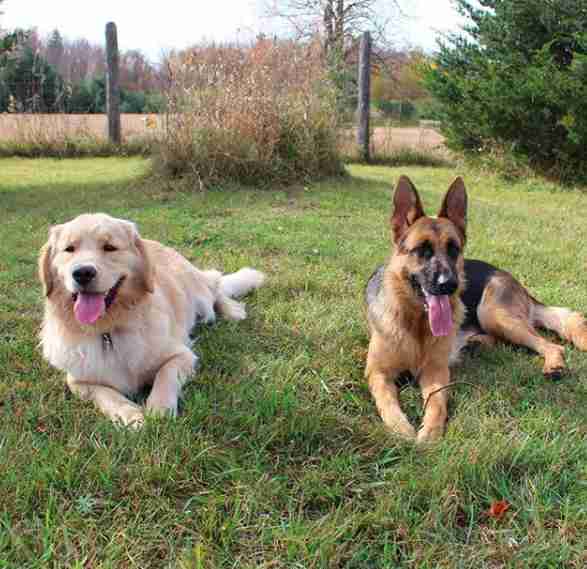 While Ryker, a German shepherd, is hyper, Bailey, a golden retriever, is calm. 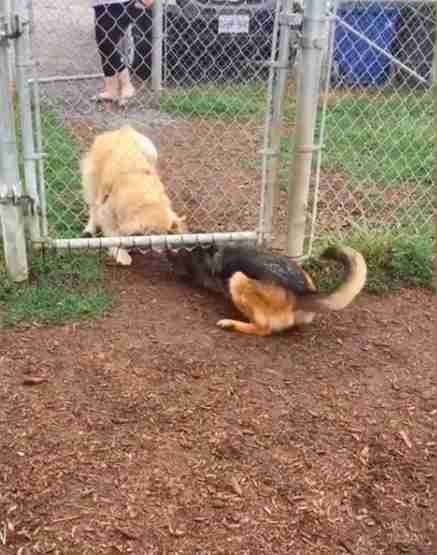 Ryker is naturally outgoing and loves meeting new friends, while Bailey is shy and needs some encouragement. 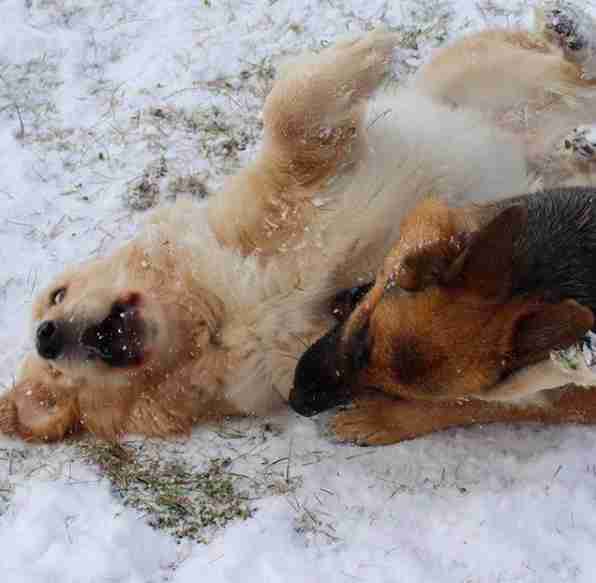 But, put the two dogs together, and you’ve got a perfect match. 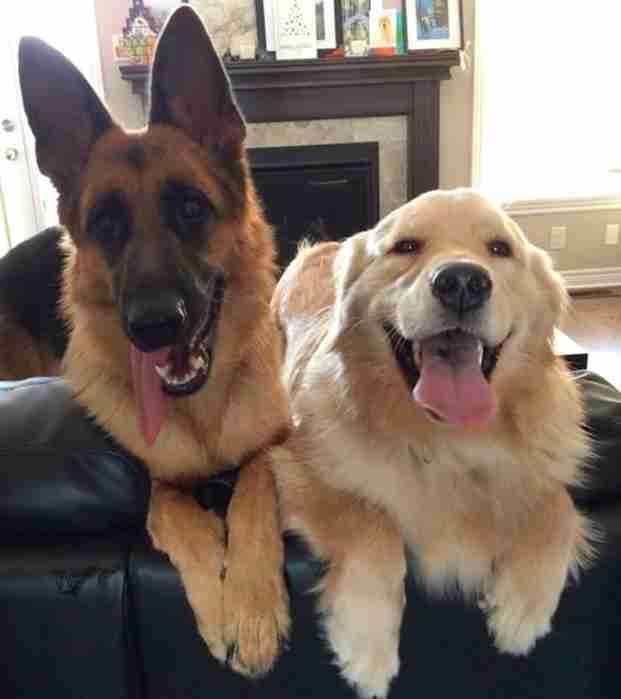 And their owners are so glad they found each other. 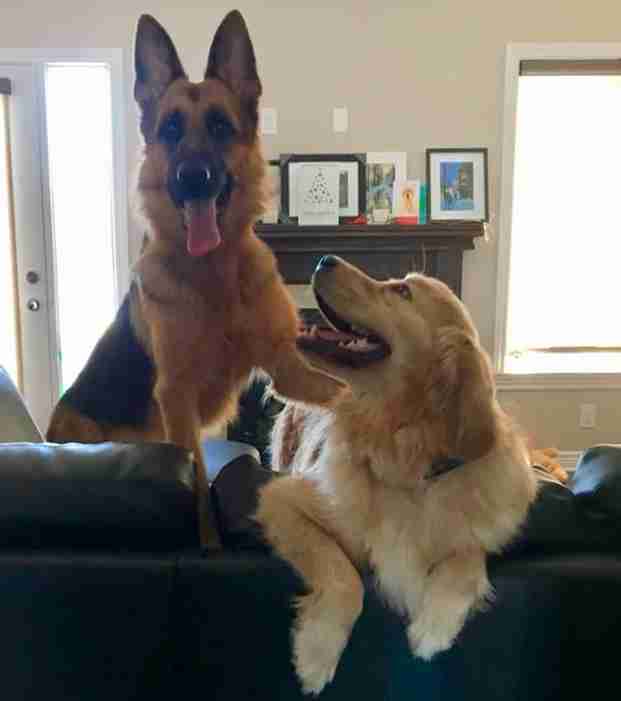 The two dogs first met online, when their moms started following each other's Instagram profiles. When Bailey’s mom moved 10 minutes away from Sauvé’s home in Ottawa, in Ontario, Canada, puppy playdates became a common occurrence — and soon, not even a fence could keep them apart. Bailey has had her work cut out for her when it comes to helping Ryker relax, but over time some of her laid-back attitude has managed to rub off on her friend. 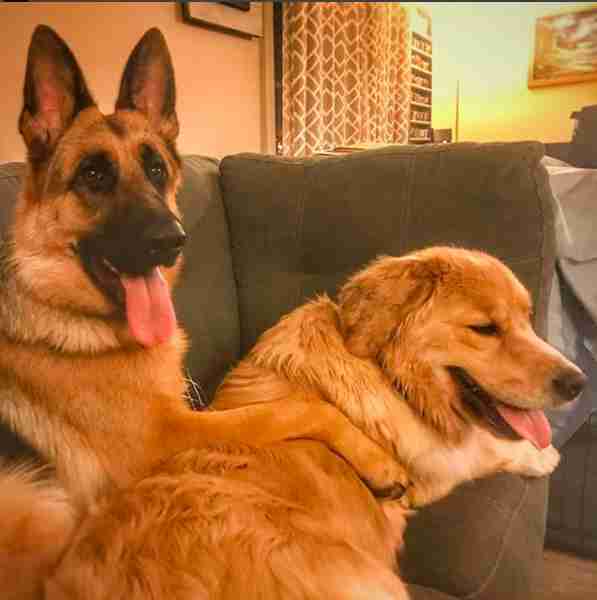 On the other hand, Ryker tries as hard as she can to rile up Bailey, but the chill pup has remained true to who she is despite Ryker’s best efforts. 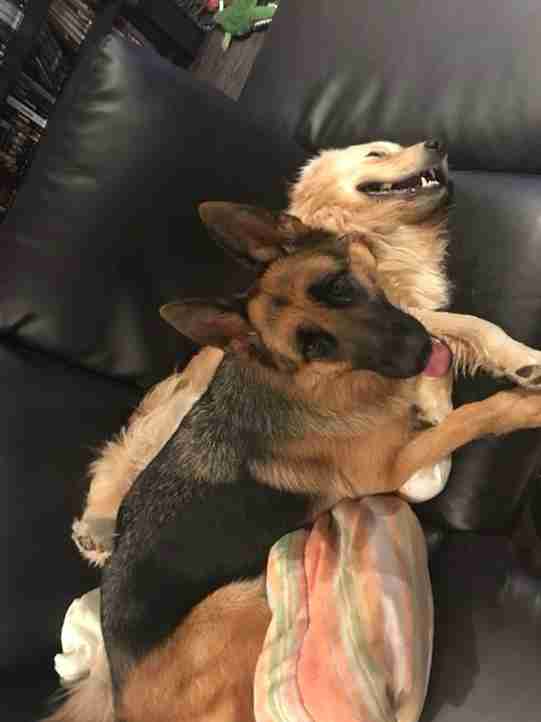 A year into their friendship, the two dogs are inseparable. … and, after a long day, they nap together. And, no matter where they are or what they’re doing, Ryker always has to have one paw touching Bailey. And Bailey doesn’t mind one little bit.